1. Combine soy sauce, lemon and brown sugar. Marinate the chicken in the soy sauce mixture for 15 minutes on each side. 3. Remove the chicken from the marinade. Sprinkle with black pepper all around. Coat the entire ball with flour. Deep fry until golden brown or bake at 350 degrees F for about 25 to 30 minutes. Marinate the chicken for 15 minutes on each side. Hold the chicken at the smaller end of the bone and cut the skin all around. Pull down the meat to the other end and flip inside out and over, just like folding socks down your ankle. 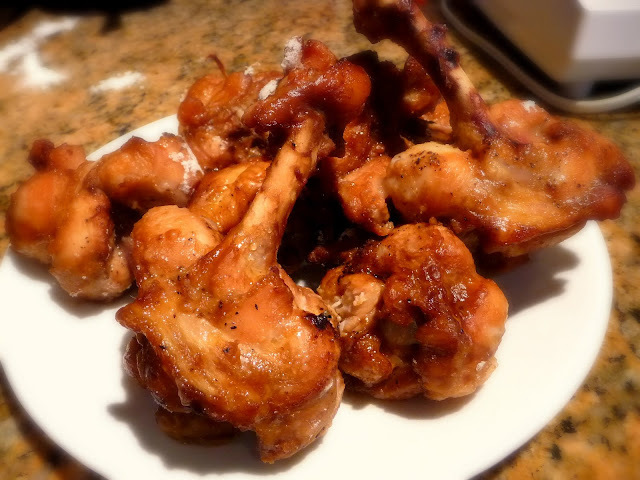 Marinate the chicken lollipops for 15 minutes on each side again before cooking. Thanks Sonia. Feel free to experiment with the marinade. Kids love the lollipop look.